What a nice contest! This was nice Multi-Multi action after a year. Really nice to meet old and new friends. 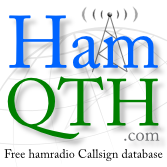 We lost a little bit on 160m and 10m maybe thanks our mistake with missing CQ in F1 message. Skimmers did not spot us as the others :( Anyway we did have really nice time and not only contesting is important! Thanks a lot for nice battle with IR1Y friends on CqContest.ru and congratulation guys! There is 3830 post by Pavel OK1MU. There is CQ WPX RTTY contest again! I was disappointed by the participation at 80m last year. My dream 1k QSOs was really away. It was little bit better in 2015.